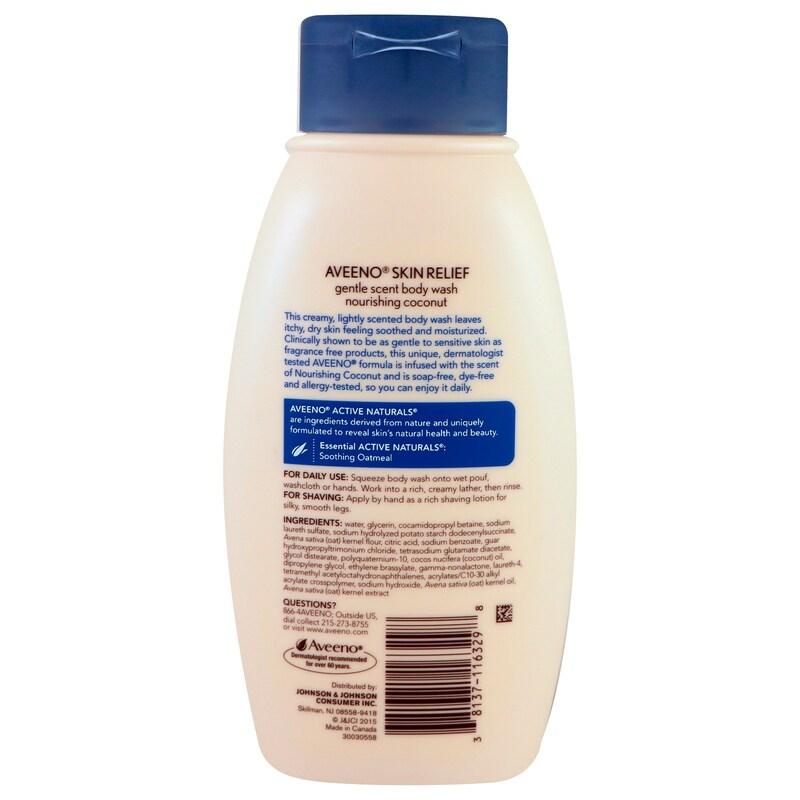 This creamy, lightly scented body wash leaves itchy, dry skin feeling soothed and moisturized. Clinically shown to be as gentle to sensitive skin as fragrance free products, this unique, dermatologist tested Aveeno formula is infused with the scent of Nourishing Coconut and is soap-free, dye-free and allergy-tested, so you can enjoy it daily. 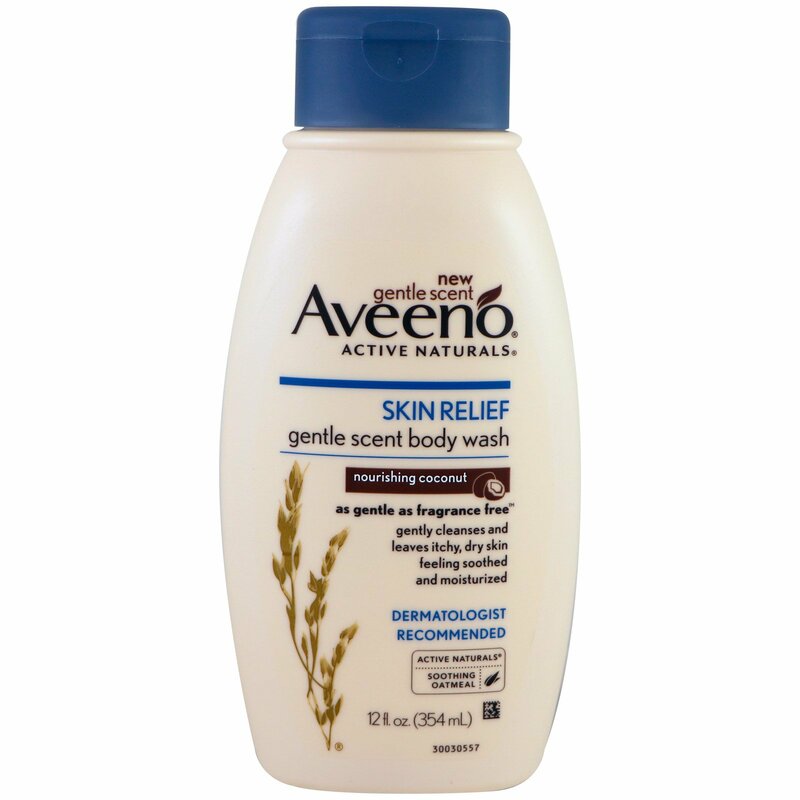 For Daily Use: Squeeze body wash onto wet pouf, washcloth or hands. Work into a rich, lather, then rinse. Water, glycerin, cocamidopropyl betaine, sodium laureth sulfate, sodium hydrolyzed potato starch dodecenylsuccinate, avena sativa (oat) kernel flour, citric acid, sodium benzoate, guar hydroxypropyltrimonium chloride, tetrasodium glutamate diacetate, glycol distearate, polyquaternium-10, cocos nucifera (coconut) oil, dipropylene glycol, ethylene brassylate, gamma-nonalactone, laureth-4, tetramethyl acetyloctahydronapthalenes, acrylates/c10-30 alkyl acrylate crosspolymer, sodium hydroxide, avena sativa (oat) kernel oil, avena sativa (oat) kernel extract.